Some people prefer to print their photos at home for a number of reasons: they can take their time in choosing the photos they want, the quality of photos can be better than those from printing shops, and they can immediately use or display the photos they printed. One downside of printing photos from home, however, is the rising prices of printer ink and toner. Thankfully, there are a number of ways you can save money and maximize your ink or toner usage. 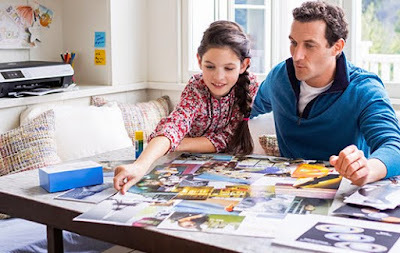 Here are 5 cost-efficient ways to do home photo printing. To produce great-looking photos, you need to edit them properly. You can avoid printing more than one copy of the photo by adjusting the image specs on your computer first. There are many editing software programs that can help you correct the brightness, exposure, sharpness and other elements in your photo. You can also use a big, color-accurate monitor to see details better and locate flaws you might have missed when viewing the photo on a smaller screen. If you’re unsure of how to edit your photos, ask guidance from friends or family members who dabble into professional photography. In order to get an idea how your photos would look on print, produce a contact sheet first. Contact sheets are printouts that contain little versions of your photos complete with their file names. Having a contact sheet allows you to compare different versions of your edited photos and lets you decide which one to actually print in a larger size. Being able to print the right version of your photo the first time helps you save money on ink and paper. We highly suggest to stock up on photo paper because they don’t immediately expire, given that you keep it away from direct sunlight and damp or moist environment. What’s more, there are many superstores and office warehouses that provide additional discount if you meet their minimum wholesale quantity. Buying in bulk also lets you monitor your print-outs and expenses efficiently. The accuracy of these low-cartridge warnings can vary from one printer model to another. Research about other people’s experiences in using the product, and observe your printer’s warning signals. Don’t replace the cartridges prematurely, unless you notice degradation in the output quality. Do not choose a printer based on price alone. Some printers may cost considerably lower, but tend to have high ink usage. When you factor in the ink costs, you might be before off with high-end printer with low ink usage. Conduct proper research and ask around to avoid incurring inflated ink or toner expenses. Cut your ink expenses in half by investing in high-quality remanufactured ink and toner cartridges. Choosing this alternative is less costly than buying brand new cartridges every time your printer runs out of ink. Aside from saving money, using remanufactured printer cartridges also help reduce the amount of ink cartridges being produced every day, thus also lessening our environmental footprint. After being checked for reusability and going through a rigorous cleaning and refilling process, remanufactured ink cartridges become like brand new products, often outperforming even cartridges from original equipment manufacturers. Home photo printing offers flexibility and ease for most consumers, but it can be pretty expensive. Thinking before you print, stocking up on photo paper, and using remanufactured ink cartridges can help significantly lower your monthly printing expenses. With these tips in mind, you can conveniently continue printing your precious photos at home and enjoy the extra savings that comes with it.